Launch the browser on your game console and visit www.pandora.com to craft the perfect vibe with controls and displays tailored for your TV. Log in to enjoy all of your stations, create new ones and easily browse more than 500 curated genre stations. 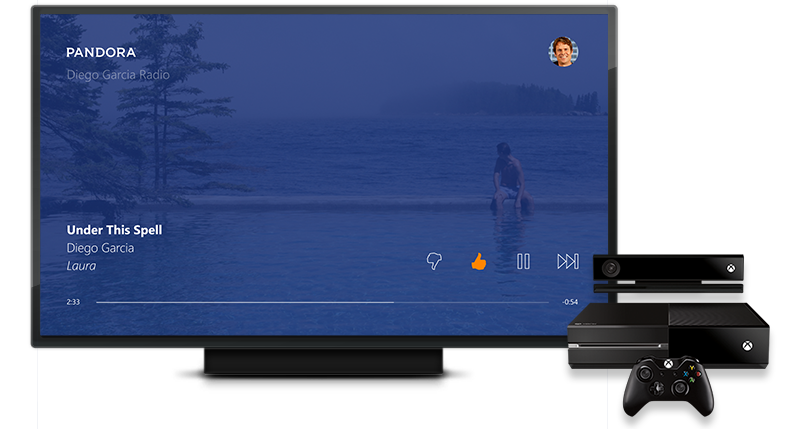 Let Pandora on the big screen fill the house with the music and comedy you love while you control playback from the couch. While you are on Pandora, press Y to open the Web Hub, and then select the Favorite icon on the address bar at the top.